Forged from SK-5 High Carbon Steel with a rockwell hardness of 57-58, and sporting a black epoxy powder coated finish, this folding knife is ready for the harshest conditions. 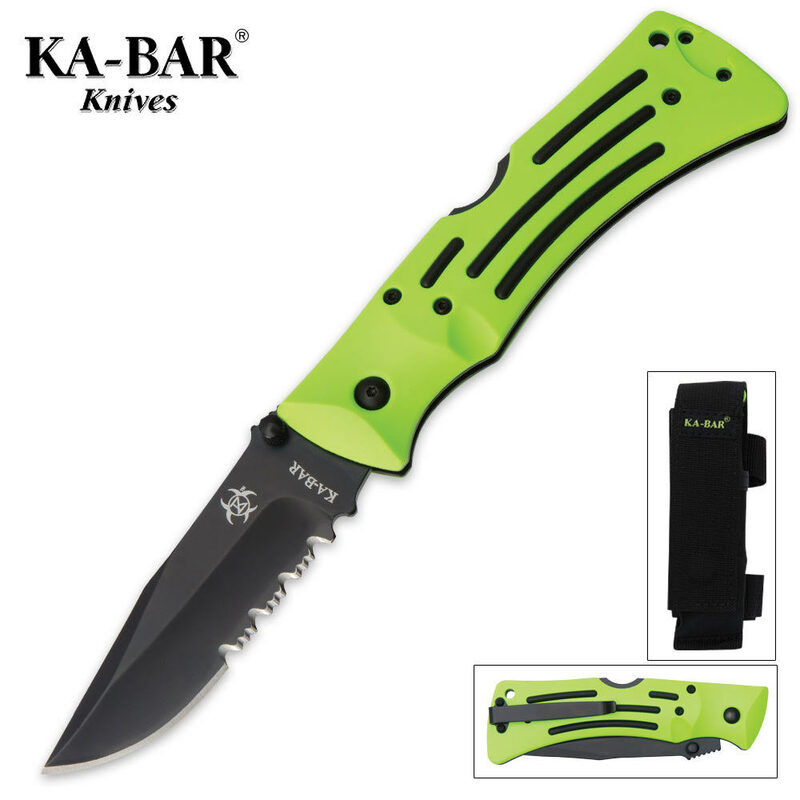 Comes with high-visibility radioactive green handle scales. Includes black nylon belt sheath. 3.875 in. blade, 9.125 in. overall. I recently purchased this knife as a replacement everyday carrier to my old $30 buck knife. It blew my expectations out of the water the minute i held it. The craftsmenship, detail, and performance of this masterpiece will put a smile on anybody who appreciates a reliable and good looking knife.